Grind Royal Basmati Rice to a fine powder in a food processor. Boil water in a pot with few drops of oil and salt. Add the rice flour and stir on low flame for 30 seconds. Switch off the gas, mix well and cover with a lid for 5 minutes. Allow the dough to cool slightly and knead it well. Cover it with a damp cloth and let it come to room temperature. To make the filling, add ghee to a heavy bottomed pan on low heat, add poppy and sesame seeds and fry for 1 minute. Add the coconut & jaggery, stir continuously for 3-4 mins. Don’t over-cook the mixture, it should be moist. Add cardamom & nutmeg powder. Mix well and switch off the gas. Keep a bowl with ice cubes handy to wet your palms and make small balls of the rice flour. Flatten it gently and evenly, put a little coconut-jaggery mixture in the center. Ensure there are no cracks. Now get the edges together and pinch the top to close. 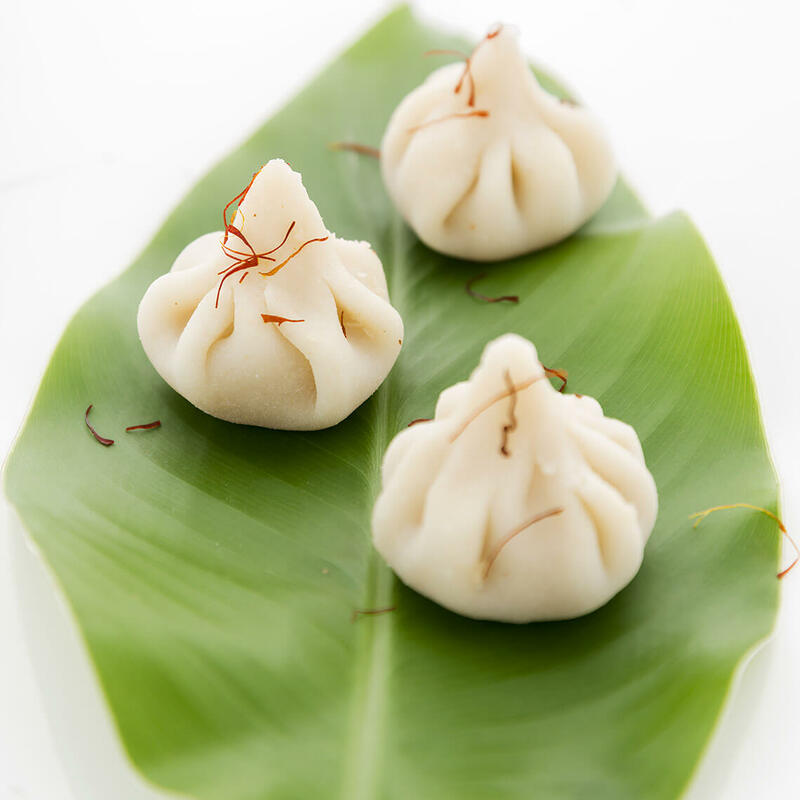 The modak should look like cone shape from top. Place the modaks on a greased steamer and steam for 7 to 8 minutes on medium heat. The texture will change once cooked.